Dry needling uses small needles that are inserted directly into the tissue and manipulated to make the muscle relax for pain relief. Dry needling is an alternative pain relief technique that physical therapists may administer for muscle pain. It involves the insertion of a small, solid filament into a stressed muscle’s site of spasm and pain, also known as a trigger point. By doing so, the muscle relaxes and blood flow increases into the area, alleviating pain and improving motion. Trigger points are often the result of an injury to a different part of the body, because other muscles overcompensate for imbalances and weakness in the injured area. Because of this overcompensation, muscle spasm occurs, causing discomfort and pain in the muscle. Once dry needling resets the tone of muscle, your physical therapist works on correcting strength and mobility deficits in the muscle, which allows healing and prevents injury. Why Choose Ohio State for Dry Needling? Dry needling is a very safe treatment for musculoskeletal pain and dysfunction; however, there are some inherent risks. These are minimized by using standardized guidelines and having a thorough understanding of anatomy. Clinicians at Ohio State University’s Wexner Medical Center undergo advanced training including annual competencies and utilizing current literature in the select use of dry needling. How can dry needling help muscle pain? 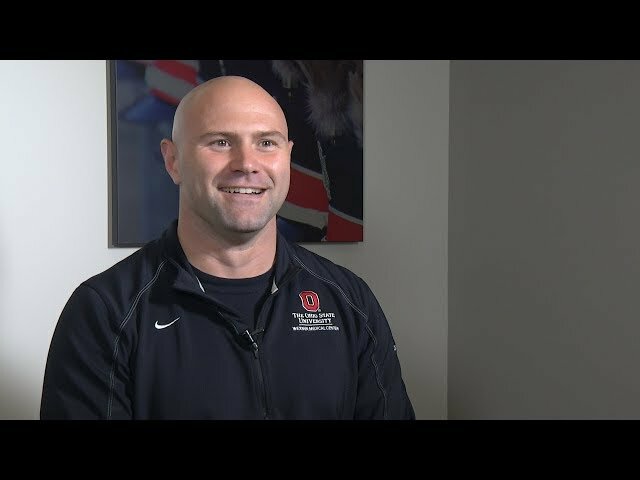 Sports medicine experts at The Ohio State University Wexner Medical Center explain what dry needling is, how it works and how it can benefit patients with muscle pain when used with an at-home therapy program. Zach is an active school teacher who experienced continuous pain in his shoulder. After trying to relieve the pain from physical therapy alone, he came to Ohio State Sports Medicine for dry-needling treatment. Having dry needling in combination with home exercises, Zach has been able to experience relief and can continue to do the things he loves.